By Bev Sandlin, I go through about one 2 liter pop bottle a week and hate to waste them. Pop bottles have so many uses from storing rice to mini-domes to protect plants in the spring, to irrigation in the garden. 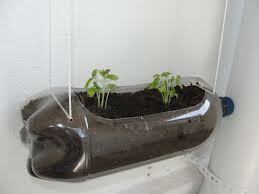 Here are … [Read more...] about Pop Bottle Gardening!